PARIS -- Softer pricing hit Renault's profitability in the first half, even as the inclusion of Russian Lada sales and higher earnings from partner Nissan pushed revenue and profit to a new record. Operating profit jumped 18 percent to 1.82 billion euros ($2.13 billion), Renault said in a statement on Friday, while revenue rose 17 percent to 29.5 billion, boosted by the inclusion of its AvtoVAZ Russian subsidiary's numbers since the start of 2017. Net income was 2.38 billion euros, up from 1.5 billion euros. Small profitability gains disappointed analysts and the company's shares fell as much as 7.2 percent, the most since June 2016. Operating profit margin increased to 6.2 percent from 6.1 percent. The automotive profit margin rose a modest 0.1 point to 4.8 percent, despite the 10.4 percent jump in deliveries. The results drew comparisons with domestic rival PSA Group, after the Peugeot maker's stronger pricing yielded a 7.3 percent core margin on relatively flat sales. CEO Carlos Ghosn said in the statement that the results put Renault "on a solid ground" for the implementation of its next strategic plan to be unveiled in October. He said the Renault-Nissan alliance expects to surpass Toyota and Volkswagen Group this year to become the world's largest auto group by sales, a position the alliance already holds after six months. Combined sales for Renault, Nissan and Mitsubishi rose 7 percent to 5,268,079 vehicles in the first half. VW Group sales were up 0.8 percent to 5,155,900. Toyota sales grew 2.7 percent to 5,129,000. Automotive revenue rose 12 percent to 27 billion euros but the result fell almost 500 million euros short of analysts' consensus, based on the median of 12 estimates polled for Reuters. Evercore ISI analyst Arndt Ellinghorst described the first-half numbers as a "mixed bag." "There were clearly expectations of stronger operating results," Ellinghorst said. Bernstein analyst Max Warburton described the performance as "very, very odd" in light of Renault's recently updated model lineup. "Renault is at the peak of its product cycle, selling into what appears to be a very strong European market," Warburton said. "All the stars should have aligned this year." Renault Chief Financial Officer Clotilde Delbos said the automaker's European business suffered from a "negative trend in the channel mix," reflecting a shift toward less profitable customers and outlets. "We have also seen some pricing pressure in some countries," she added, citing South Korea in particular. Renault may not benefit in the future from price increases in some countries as customers balk at paying for extra costs for cleaner emissions, potentially weighing on profit, Delbos told reporters. 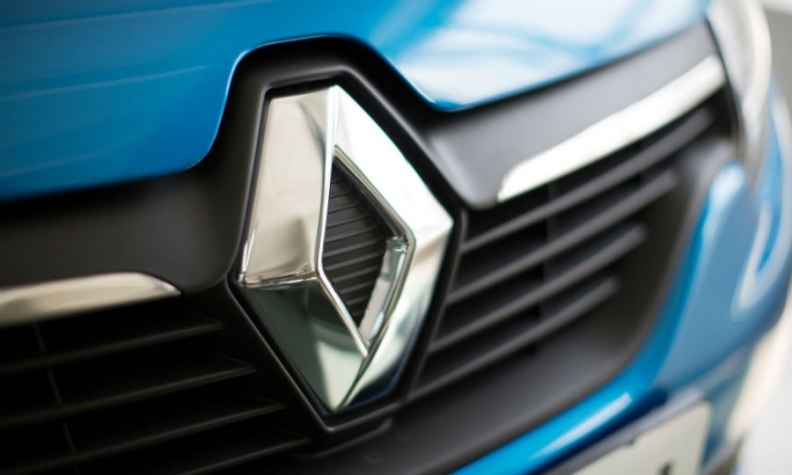 The cost of adding enhancements to its autos, called the "price mix enrichment effect" by Renault, had a negative impact of 180 million euros in the first half. Renault is expanding in emerging markets such as China, where it plans to acquire half of Brilliance China Automotive Holdings' unprofitable minibus unit, and Brazil, where it’s getting ready to introduce the low-cost Kwid car. The company lifted its market forecasts in Russia and Brazil earlier this month. It predicts the global car market will expand by 1.5 percent to 2.5 percent this year, with growth of 5 percent in China, 8 percent in India and 2 percent in Europe. Renault confirmed its 2017 financial targets, including an increase in group revenue, at constant exchange rates and beyond the impact of the consolidation of AvtoVAZ in its accounts, and higher operating profit in euros. The group expects AvtoVAZ to break even by 2018. The company intends to present a plan in October to increase annual revenue by 37 percent to 70 billion euros by 2022 and lift its operating margin to 7 percent of sales in five years from 6.4 percent. Timing of that announcement will correspond to those of its partners, Nissan and Mitsubishi, which was folded into the alliance last year. Renault's efficiency savings amounted to 200 million euros in the first half, compared to 6 million euros a year earlier. Last year, the company missed its own target of saving 350 million euros.